Ultra Clean Melbourne technicians use state of the art steam extraction machinery to steam clean your tiles and grout. With tile and grout cleaning in Melbourne, our technicians are carefully trained to identify the type of your tiles, different tiles require different cleaning techniques and it is very important that you have a well trained technician to complete your job. Ultra Clean Melbourne tile and grout cleaning method is to apply specialized cleaning product to your tiles, then using our powerful steam extraction machine we use high temperature combined with high pressure to steam clean your tiles. Ultra Clean Melbourne leaves your floors walk on dry, and all the dirt and water from the cleaning process is sucked into the holding tank in our powerful steam extraction machine. So there is no mess, all you need to do is sit back and enjoy your new looking tiles again. 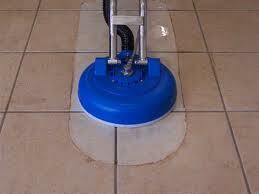 With our state of the art methods, your tiles and grout are left hygienic clean. There is no mess or splash up your walls. 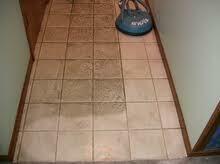 Your tiles and grout are dry when we leave. The results are truly amazing.